Aura Glaser wrote this book to remedy a deficiency she discovered while engaged in psychological research—a nearly complete omission of the importance and cultivation of compassion. Other books exploring Buddhism and psychology have focused on what the Theravada school of Buddhism--which teaches personal liberation through enlightenment--can offer psychology. A Call to Compassion works with Mahayana Buddhism, in which practitioners commit to the liberation of all sentient beings, with compassion central to attaining that goal. In her fascinating and exceptionally clear and concise review of the work of Freud, Jung, and others, Glaser shows how psychology has been ambivalent about the subject of compassion and therefore has developed no methodology for helping individuals cultivate this essential quality in the service of helping others. 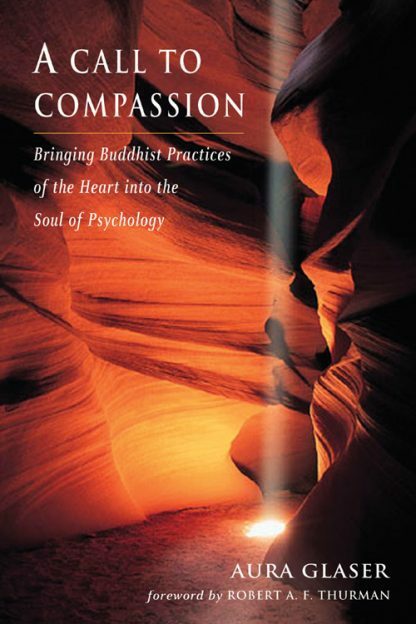 Glaser introduces as a remedy the Buddhist practice of the lojong, expressed in the text of The Seven Points of Mind Training, for developing love and compassion. With modern-day life examples, she illustrates the four major points: compassion for self, compassion for others, exchanging self and others, and no self and no other--affirming that these points are indeed attainable. If we make the effort to contemplate, understand, and truly integrate these four essentials, we will have a sound basis for both psychological health and genuine transformation.